This is just going to be a very short post today to let you all know about the changes to my TBR/Wrap Up posts. I've decided to actually stop doing monthly TBR's, the last couple of months I haven't really been sticking to them especially after visits to the library and other times, I just don't feel like reading the books I've picked out. I've started doing update posts about my current reads as well as what I've recently finished and what I'm planning to read next. I don't always get to write reviews of every book I read, so this way I can include mini little reviews in those posts. These posts will be up every Thursday (I know that's a little weird, but that's just how it fits into our schedule). Look at us, being all active on here again! I've actually got an absolute stack of posts scheduled throughout April already so we'll definitely be more active on here in the coming weeks. Anyway, today I thought I'd so a sort of 'what I'm currently reading' thing and also talk about some of the books and other bookish things I'm hope to read/buy soon. I'm thinking of doing something like this every week, probably on Thursday but we shall see. Heart of Darkness by Joseph Conrad: This one is actually a read for my Literary Studies unit at University. I've finished the actual book, but I've been reading through a lot of the critical analysis lately. We only study each book for a week, so this one is almost done! The Ask and the Answer by Patrick Ness: This one's a library book so I'm trying to through it as quickly as possible. I'm currently on page 240 out of 536, so I'm not even halfway yet but it's a pretty quick read when I actually get the time to read it. The Mystery Tomb by Eva Pohler: I've been reading this one for a little bit, but then my mum decided to borrow my E-Reader so that she could read it and well...she's a bit slower than me. I'm hoping to steal it back from her asap. Matched by Ally Condie: I really wasn't sure whether I'd like this one or not, but so far it's good. I'm 70 pages in at the moment, but that's only from the one sitting. I put it down because it was getting a little too deep for me at that particular moment. I really want to finish this by next week. Cruel Beauty by Rosamund Hodge: This one is for a Tumblr/Goodreads book club I'm in. I'm only 100 pages in, but I'm not really enjoying it as of yet. Most of the book club has been saying the same thing, but we're all hoping it picks up soon. So that's what I'm currently reading, as for goals. I've got a couple of things planned for April. 1. I'm hoping to re-read The Great Gatsby next month. This'll be the first time I've re-read it (I really hated it the first time). But I'm re-reading it so I can read The Great Gatsby: Graphic Novel by Nicki Greenberg. I'm actually going to see her do a talk about the graphic novel so I'd really like to read it before that. 2. The talk I mentioned is actually for two authors, Nicki Greenberg and Kristen Krauth. I actually won Kristen's novel, Just_a_girl, a few months back but I haven't read it yet, so I'll be changing that hopefully! 3. I'd really like to be able to collaborate with another book blogger. I was thinking maybe a read-a-thon or some other kind of event. But if anyone's interested, please leave me a comment below. So that's it for this week. I will see all of you next week, hopefully with some of those books read! Top Ten Tuesday is hosted by The Broke and the Bookish, and you can find more about this meme here. 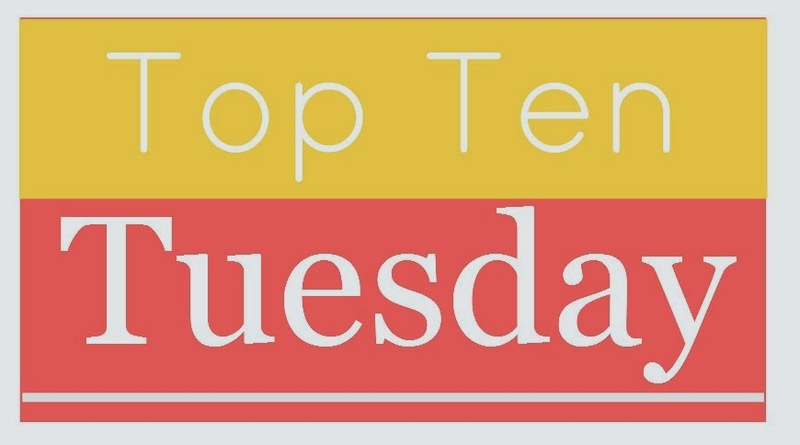 This is my first ever Top Ten Tuesday but I'm so excited to become a part of this! This week's list is the top ten things of my bookish bucket list. 1. Read everything Agatha Christie ever had published. As Chami will tell you, I have a slight massive obsession with all things Agatha Christie, and so one day I hope to be able to get through all of her novels, plays and short stories, even the romance ones she wrote under the pen name of Mary Westmacott. I can't find an exact total for everything she ever published, but I do know that there are 66 mystery novels. I've currently read 9 of her works...I've got a while to go. As of right now, we have 68 followers here on our blog which is amazing considering we never really expected to even reach 10 followers. That being said, I'd love to reach 500 followers so we could host a big giveaway and whatnot, which really we could do at any number but 500 seems...logical, for some reason. Currently, I live at home with my parents and brother and despite the fact my books take up most of the space on all six bookshelves in our house, I still do not have enough room! Like any book lover, I hope one day to have my own home library with floor to ceiling bookshelves filled with all my books. I consider myself pretty lucky in the sense that I've got to meet quite a few authors- Maggie Stiefvater, Alyson Noel, Jay Kristoff, Duncan Lay and (my personal favourite) Nansi Kunze, are among some of them. I'd still love to meet more authors though- I don't have any preferences or anything, I just want to meet some more awesome YA authors! I admit, I'm one of those people who had yet to get to The Song of Ice and Fire series by George R.R. Martin. I have started Game of Thrones and I got about 100 pages in (I was really liking it) and I already own the second book, but I just haven't gotten to them yet. I haven't even seen past season one of the show! This actually hasn't always been a dream of mine, in fact this is a very recent goal. Recently, I've been looking into volunteering at nearby libraries or at bookish events but getting a part-time job at a bookstore would be amazing. This one is a little strange, we've hosted plenty of giveaways for authors here but I'd like to be able to host our own giveaway with the prize as the winner's choice from Book Depository, or maybe even an Australian giveaway so I can include some awesome bookmarks and whatnot. This is a similar sort of thing to number one on this list. I absolutely love Dickens, so of course I want to read all of his works too. I'd also really like to watch the many adaptations that go along with his novels- 50th watching of BBC's Great Expectations (2011), here I come! I am literally always on the lookout for book events where I live. Unfortunately, there aren't really that many here but I'd still love to attend more. That being said, this one is kind of a cheat because I'm already planning to attend two more this year already! I love giving books to people so I think doing a book swap would be awesome. I know quite a few people do this in America, but I have yet to find anyone in Australia who is interested but hopefully I will soon! So that's it for my first Top Ten Tuesday! I had a lot of fun doing this, and I'll see you all this time next week for my next list. At the end of my Business Communication class yesterday there was one student hanging around. As we both finished packing up our things, he asked me about Five Corners and so I gave him a little synopsis of the book. He was very interested and as we chatted about the book, he revealed to me that he also had written a fantasy novel but that he lost most of when his hard drive AND his computer crashed (every writer’s worse nightmare!). After talking about the importance of multiple back ups and using some kind of cloud storage we got back to talking about his book and I told him he should rewrite it. He agreed. I drove home with a big smile on my face as I reflected on the fact that so many of us are writers! 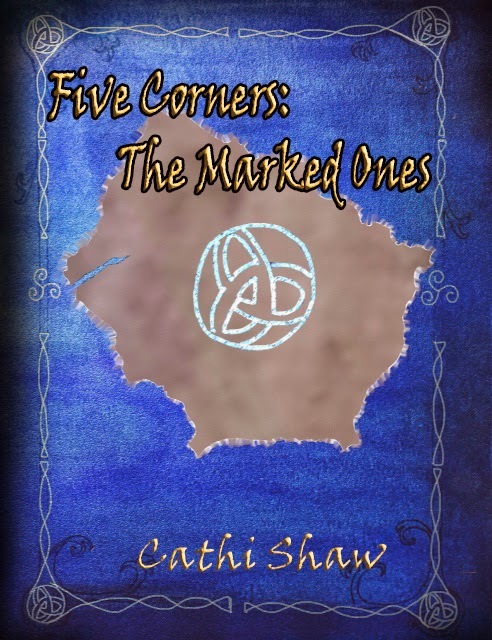 Since Five Corners was published, I’ve been approached by the most unlikely people who have told me they are writing their own books. People I would have never have imagined would be writing a story! And I never get tired of hearing about their ideas and their work. It never fails when I’m at an author event someone will come up and start talking to me about their book, looking for advice and, most of all, encouragement. And I just love hearing all the different ideas people have for their books and stories. I’ve yet to hear a truly bad idea. Now not all these books will be written. As anyone who has finished a novel knows, it takes a lot more than a good idea to write a book. And even if you’re able to write out a first complete draft (which is a huge accomplishment) then editing it takes more work that the actual drafting. Despite all these facts, I’m always thrilled when I talk to budding writers about their story ideas. We are storytelling creatures. It’s how we make sense of this crazy world we live in. And I, for one, hope the stories just keep coming! So a few months back, I made a post recommending books to a friend of mine and I really enjoyed that. So I thought I'd start a new little series in which I recommend about some of my favourite books. In each part, I'm going to name five books/series and then talk about them a bit. This is mostly YA, but I'll include other genres now and again. I have yet to write a proper review of this book, but there was no way I could not put it on this list so a review will probably be up next week. To put it simply, I adored this book. I don't usually read epic fantasy novels, but this one just completely blew my mind. I think part of the reason I love this book so much was that I was lucky enough to meet Duncan Lay last month. I can't even describe how amazing he was at pitching his books to my friend and I. I'll talk about my thoughts more in my actual review. But, if you only pick up one book from this list, make it this one. This one has a bit more hype surrounding it than most of the books on this list but I just couldn't not talk about it. I haven't written a proper review for this one either (yet), but I'm actually planning on re-reading it next month- the fact that I only read it in January should speak volumes as to my feelings towards this book. I honestly stayed up until 2am reading this and then was unable to sleep the rest of the night because I was shaking from this book. I really can't even describe how much I love this book or how many feels I felt. You just have to read it to understand it. Do you think I've talked about this book enough? Nope, nope, nope. I don't think there are enough words in the whole world to describe my love for this book and for Nansi. This book is so much fun to read, there's a bit of mystery, bit of music and a whole lot of drama and romance. Plus, Marius is totally the love of my life. But even more than that, Nansi is honestly the most wonderful person ever. I've been lucky enough to meet her twice (totally by accident both times), and I can't even put into words how amazing she is. 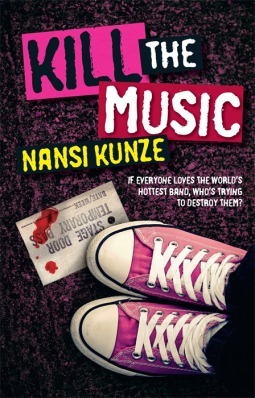 My new goal in life is to get everyone to read all three of Nansi's books. Also, you can see my review here. I found out about this book through a book club I was attending at my school in which we read through books that were nominated for awards. 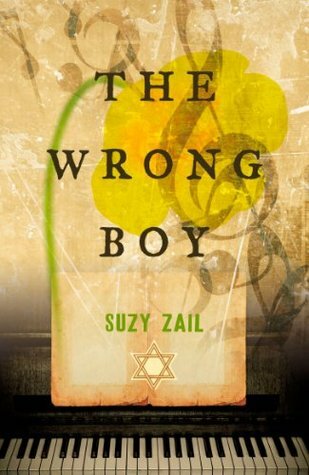 As soon as I found out that this book was about the Holocaust, I borrowed it and that was where my love began. Anyone who's been following this blog for a while is likely to know that I adore anything WWII related, this was absolutely no exception. I think my favourite thing about this one, is that it's different- it's set in Auschwitz, but the main character is provided with a unique opportunity, to play piano for the commander. Needless to say, there were many tears throughout this book. This book was actually sent to us for review by Melissa, but I enjoyed it so much that I wanted to include it here. 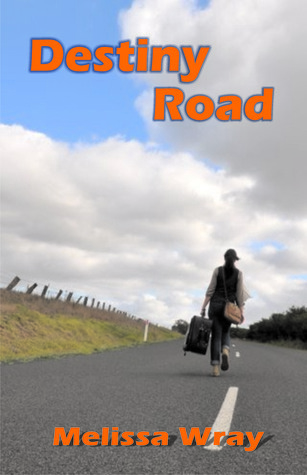 Destiny Road is very different to the other books on this list, it's a contemporary but rather than centering on romance, it focuses on family. I really love stories that are about families and friends as much as I like books about romance. The issues in this book are all based off Melissa's own experiences, which makes it even more realistic and enjoyable. Plus, it's set in Australia and what kind of Aussie doesn't like a book set here? You can see my review here. So that was my first recommendations post. Somehow, all of these authors turned out to be Australian authors (I believe Meagan Spooner sees herself as an honourary Aussie), which awesome! 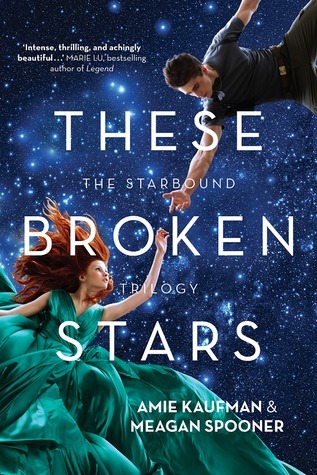 I hope some of you consider these books because they are honestly amazing and deserve more hype (and ratings on Goodreads). I hope you all enjoyed this post, I'm considering doing one of these every month but we shall see. 1. Write. I know this one should go without saying, but I’ve met a lot of “writers” who spend far more time talking about writing than they spend actually putting pen to paper (or fingers to keys). Seriously, folks. Being a writer isn’t about talking about it–it’s about doing it. So do. 2. Read. Read everything and anything, and when you figure out what you like to read, then that’s probably what you will like to write. 3. Don’t be afraid of ugly first drafts–even the great classics had a first draft. I promise. 4. Don’t worry about length–tell the story as well as it can be told and then figure out if it’s a novel (usually 50,000-80,000 words); a novella (shorter); a short story (even shorter); or a mammoth tome (100,000 words or more). 5. If you start your “novel” and figure out it’s only two pages…well…then it’s either a short story (and that’s okay), or you don’t have enough conflict present within your story, or you’re glossing over things that shouldn’t be glossed over. Go deeper. 6. I heard it said once that the first 100,000 words anybody will ever write will be bad words. I call those the “dirty water” words. (You know how when you turn on a garden hose, the stuff that comes out first is dirty water?) Well, the only way to get to the good stuff is to let the water run. 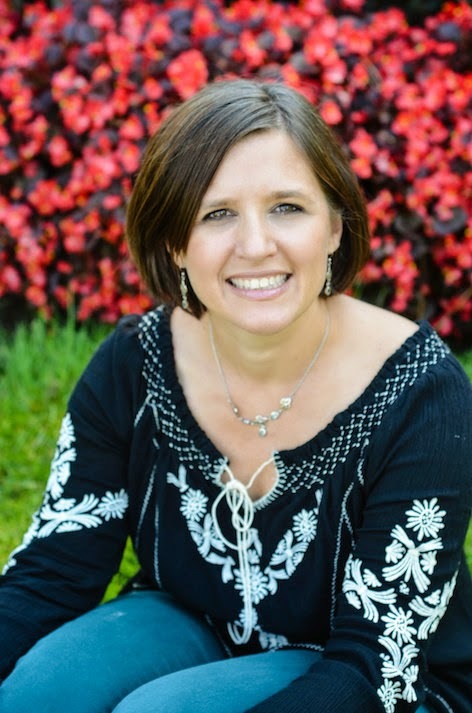 So, back to #1 and #3–just WRITE! 7. Everything ties to character. Everything. Take THE WIZARD OF OZ for example. If Dorthy were a street-smart bully then that would be a very different story, would it not? 8. Write steadily. Now, I don’t necessarily prescribe to the “write every day” mantra (although that’s not bad advice if you’re up for it, I personally, need to take writing vacations from time to time). But I do think you need to write steadily. Don’t put it off by saying “I’ll start during spring break” or “I’ll write when we go to the beach” or whatever. Those are excuses. See #1–writers write. 9. Pick an idea that you love and then commit to writing it from start to finish–don’t let yourself give up in the middle. Middles ALWAYS look like the land of no return. Push through. (See rule #3–it’s okay if it’s terrible.) Just FINISHING a book/story/novella is a good process to go through. Just FINISH. It’s about a _____________ who ________________s. That’s it. That’s all a book/story/movie ever is–the story of a ___ who ____s. a. A student at a spy school who falls for a normal boy. b. A girl who challenges the gender bias of her boarding school by secretly taking over an all male secret society. c. A group of three friends who take a road trip to discover who they really are and what they really want. d. A Southern Belle who refuses to be defeated by the Civil War. e. A child prodigy who has been in love with 19 girls, all of whom were named Katherine. So far this year, it's been rather slow here on A Book So Fathomless. We've only posted 17 times this year and we're already in March. Last month, we posted a whopping 4 posts which is one of our lowest ever. But this post isn't about telling you stats that you could check on the side of our blog, it's about making apologies. I feel like we spend a great deal of our time making apologies to people. Apologies to the poor authors who've requested reviews from us that we just have not gotten too, apologies to people who've sent us e-mails that we forget to reply to for months and to you guys for hardly ever posting on here anymore. Now comes for the next bit...excuses! Basically, Chami has started her final year of high school and she is completely swamped with homework and study and whatnot. I'm sure any encouragement would be appreciated. For me, well, I'm about to start my first week of University ever. I'm lucky in the sense that I will get two days off per week, but I don't know whether I'll actually be 'free' as such. Now onto the actual good part of the post- I've been working on scheduling lots of things so that this blog does actually remain active. I've got a bunch of different reviews coming up this month, plus some more bookish related things and HOPEFULLY, a bookshelf tour. It's been a while since I've done one of those, you can see my last one here, but my shelves have changed immensely since then so I suppose it's long overdue. The ancient powers lost to Potara have returned. The Brotherhood of the Black Rose rises to bring Thoth into disorder. And, while the Brotherhood reclaims their power, chaos reigns among the survivors. Six individuals have emerged from the aftermath struggling for control over their lives and a divided land. Kem and Shirin, who abolished the five thousand year reign of the Amun Priests, rule from the golden throne of the Oracle’s Chair in the Hall of the Nine. Dio and Axios struggle to piece together a resistance worthy to challenge the ancient magic which resides in the Great Temple of Amun, and Leoros and Atlantia try to remain true to their hearts and their cause despite tragedy. But when the Book of Breathings is discovered, the path to immortality is revealed. Leoros and Kem race to capture the Soul of the World unaware of the challenges awaiting them. This time, the gods themselves will intervene. The Soul of the World continues with the story of Leoros , Atlantia and the many other characters we grew to love in The Emerald Tablet, if you wish to see my review of that you can find it here. 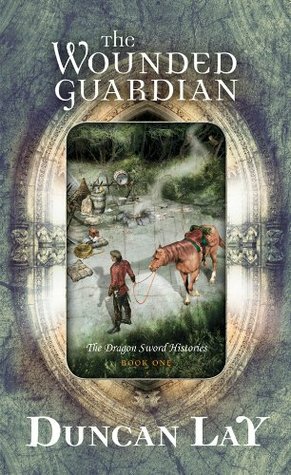 In summary, the first book was incredibly fast-paced and mixed fantasy and science fiction with mythology, archaeology and romance and the second book does not disappoint. This sequel takes place two years after the first one so it was nice to see each character develop with age and experience, though Leoros and Atlantia remain as my two favourite characters in the series. As well as the return characters, we also get to meet a bunch of new and interesting characters- I have to admit, I’m becoming quite fond of Kevin. This being said, one of my absolute favourite things about this book is that we get to see both sides of the story- it’s not just the ‘heroes’ that we get to see into the minds of, we get to see the ‘villains’ too. In my opinion, this makes the story even better as we get to see all the dimensions to each main character rather than just seeing them from another’s point of view. I have to say though, Shirin is just completely insane- which, of course, makes her even more enjoyable to read, but really, she’s crazy. I think this series is one of the most detailed series I’ve read. I’m being completely honest when I say that I don’t think anything is left out and if a particular detail is, then it’ll probably pop up somewhere a little bit later on. There is so much to take in- all the different stories for each character, and the world itself but also the development of the plot and characters, but I don’t think it’s too much or that it’s boring. Instead, I find the little details really interesting. There is even this incredible detail in each scene, I feel like all of this would be translated really well into a film, it just has that cinematic feel about it. Continuing on with the detail, there are all these references within the writing- references to the first book but then also references to other mythology and pop culture. I think sometimes authors spend too much time retelling past books or just don’t reference them enough, but I think this was a nice average. More than that, the references to pop culture add a bit of humour to the book which otherwise is quite serious. The one thing I will say is that this book deals with incredibly heavy subjects. There’s a lot of violence, mentions of suicide etc. I don’t believe it’s a book that you can read in one sitting, despite how incredibly interesting it is- there are moments where you definitely need to put it down for a moment and do something else. Finally, I’d definitely say that there are moments in this book that are definitely for mature audiences- maybe others won’t think so, but I think some of the descriptions of violence are incredibly graphic. While that personally doesn’t bother me, I wouldn’t suggest this book for any children. 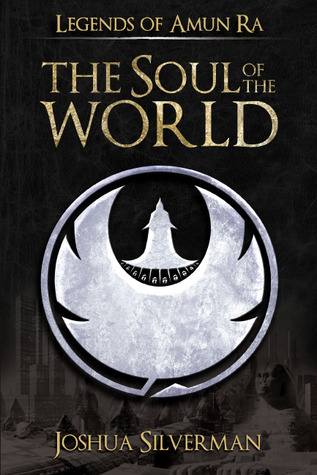 Other than that, I think The Soul of the World was an amazing sequel and I honestly cannot wait to see what happens in the next book! Thanks to Joshua Silverman for supplying us with a copy again. 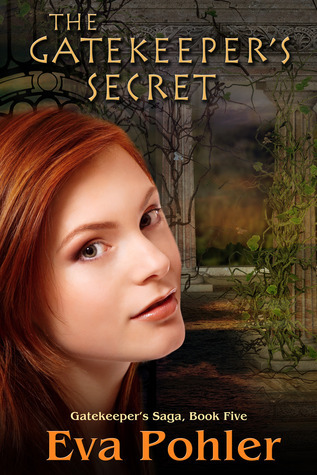 Here's your chance to win the fifth book in Eva Pohler's amazing series, The Gatekeeper's Secret. The giveaway runs from the 1st of March until the 8th, so make sure to get your entries in quick!